When your skin looks on point, it can affect the way you carry yourself and seriously make you feel more confident as you go about your day. 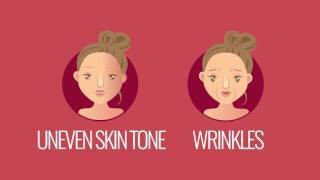 But when your complexion looks dull, it can have the opposite effect on you. The good news is, getting brighter-looking skin is possible. Yay! It’s all about understanding what causes dullness to begin with—and knowing what kinds of skin care products you should add to your routine to help address this skin concern. 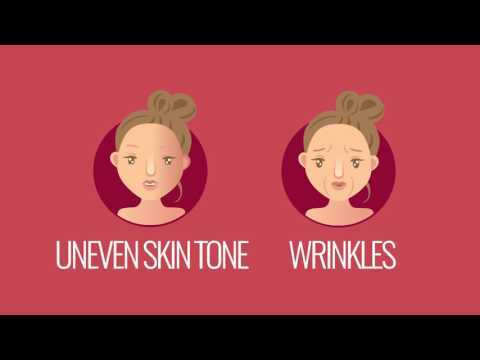 Here, Dr. Rocio Rivera, head of scientific communications for L'Oréal Paris, explains why dull skin happens and what you can do about it. Here’s to brighter-looking skin days ahead! Why Is Your Skin Dull in the First Place? Is there anything more frustrating than realizing that your complexion doesn’t look quite as radiant as it used to? Ugh—what the heck is going on? Let’s break it down. “Think of a dirty glass and how the dirt does not allow the light to shine through,” says Rivera. “Think of that glass as your skin and the dirt as dead skin cells that accumulate on the top.” As you age, says Rivera, your skin cells aren’t able to renew themselves as fast as they did when you were younger—and this translates into dull skin. How Can Glycolic Acid Help You Achieve Brighter-Looking Skin? According to the American Academy of Dermatology, glycolic acid is an alpha hydroxy acid (AHA)—and AHAs can help exfoliate dead skin cells that have built up on the surface of your skin. Rivera says that glycolic acid can help make skin look brighter, noting that it can also help address the appearance of wrinkles, too. What Product Can You Use for Brighter-Looking Skin? Rivera recommends the L'Oréal Paris RevitaLift Bright Reveal Brightening Daily Peel Pads. The peel pads are formulated with glycolic acid to help gently resurface dull, uneven skin tone and rough texture. What’s more, the multi-ply textured pads also physically resurface dead skin cells on skin’s surface. Your skin can look brighter immediately after using a peel pad. The peel pads can reduce the appearance of wrinkles with continued use over time. Rivera recommends using the peel pads at night (do so after cleansing). Just keep this in mind: Rivera points out that you should always apply a broad-spectrum sunscreen in the morning—especially when using an AHA like glycolic acid as part of your skin care routine, since it can actually make your skin more sensitive to sunlight. So, follow up with the L'Oréal Paris RevitaLift Bright Reveal Bright Reveal Brightening Day Lotion SPF 30 when you wake up—and make sure to reapply every two hours! Now that you know the reason why skin can start to look dull, you can start implementing a skin care routine to help brighten the look of your complexion, including adding a product formulated with glycolic acid—like a peel pad—to your daily regimen. It’s time to shine brightly!